Besiktas JK Istanbul bolstered its frontcourt by inking big men Lamont Hamilton and Emre Bayav to respective one-year deals on Wednesday. Besiktas keeps an option to extend Bayav's contract for an extra season. Hamilton (2.08 meters, 31 years old) arrives from Krasny Oktyabr Volgograd, where he averaged 13.2 points and 4.5 rebounds in 6 Eurocup games last season. He started the 2014-15 season with Laboral Kutxa Vitoria Gasteiz, averaging 4 points, 1.8 rebounds and 1 block in four Turkish Airlines Euroleague games. 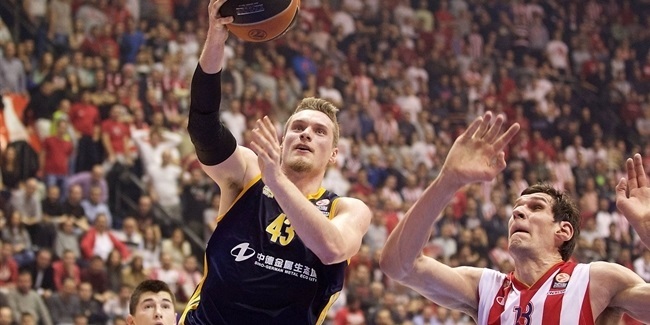 Hamilton was shined in the 2012-13 Eurocup, playing for Bilbao Basket. He helped Bilbao reach the title game against Lokomotiv Kuban Krasnodar with averages of 13.2 points and 5.2 rebounds in 17 games and was chosen to the 2012-13 All-Eurocup Second Team. 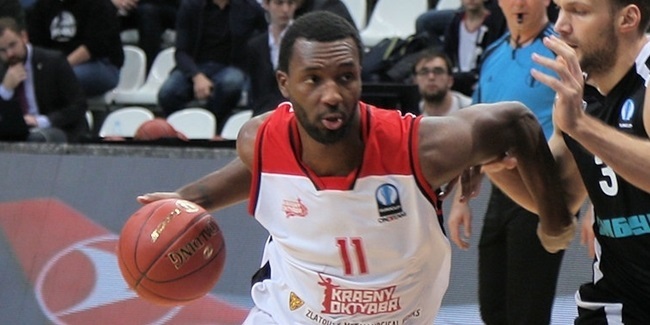 Hamilton had joined Bilbao from Paris-Levallois of the French League. He played college basketball at St. John's University before beginning his professional career in the Spanish second division with Inca and Tenerife. He spent three seasons with Paris-Levallois and helped the team make the French League playoffs twice. Bayav (2.12 meters, 28 years old) arrives from Darussafaka Dogus Istanbul, where he averaged 2 points, 2 rebounds in 2 Turkish League games last season. He made his Eurocup debut with Crvena Zvezda Belgrade of Serbia in the 2004-05 season. Bayav has also played for Efes Pilsen Istanbul, Pinar Karsiyaka Izmir, Antalya Buyuksehir Belediye, Erdemirspor and Royal Hali Gaziantep of Turkey. He helped Darussafaka win the Turkish second division title in 2014 and also lifted the Turkish Cup trophy with Efes in 2007. Bayav also helped Turkey get respective silver medals at the 2003 U16 European Championships, the 2004 and 2005 U18 European Championships and the 2006 U20 European Championships. 7DAYS EuroCup debutante Germani Brescia Leonessa signed forward Jordan Hamilton for the coming season, the club announced late Thursday.